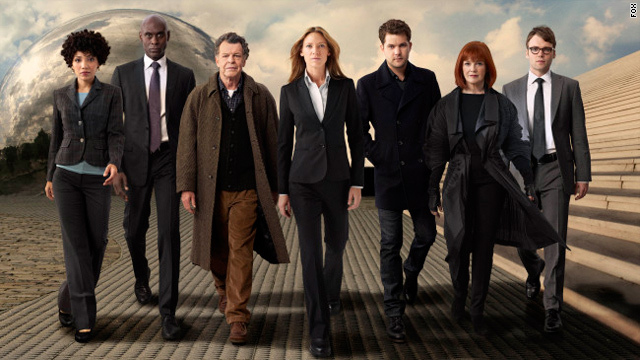 The fans of Fox's cult sci-fi series "Fringe" are a big reason why the show has survived to premiere a fourth season this Friday night, and the executive producers, Jeff Pinkner and J.H. Wyman, are keenly aware of it. "We were very confident that [Fox executives were] pleased, creatively, with where the show was going. They know that we have incredibly rabid fans," Wyman told reporters during a conference call on Wednesday. "I'm not straight up German, but I kind of look like the IT guy from the Nazis." New York comedian Kurt Braunohler is quite aware of his rather SS appearance, but pictures himself more as the guy who troubleshot code breaking machines - also technically known as Nerdenfixen. 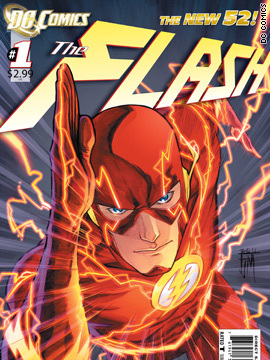 With a brand new "The Flash" comic book series set for release on Wednesday (and a first look at some of the artwork from the book in the gallery above), we asked new artist and co-writer Francis Manapul to talk about the science of one of the most famous science fiction-based superheroes. "We have a bit of a leeway in [exploring ‘comic book science,’" he said. "What’s been really fun is finding real world scientific facts and pushing the ideas. When you read science journals where they’re theorizing, we’re able to ask, 'what if that wasn’t just a theory, but it was real?' With Barry [Allen, the Flash's altar ego] being a scientist himself, there’s lots of ways we can explore that."